I followed John’s advice for freezing the perfect-when-seasonal tomatoes that I am so in love with right now, and headed up to a farmers’ market (Rock Garden Farms in Caledon) to pick up a giant haul of roma tomatoes. 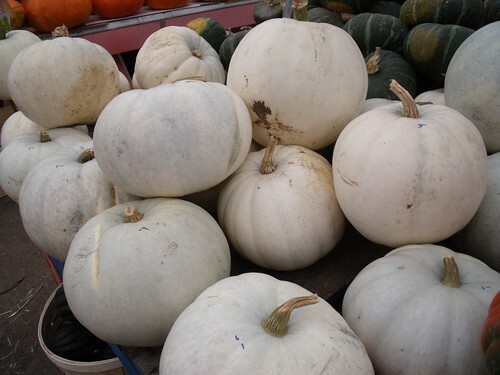 Have you ever seen “ghost pumpkins”? But back to the tomato madness: I oven roasted the tomatoes, and took the idea one step further to make yesterday’s Roasted Garlicky Tomato Basil Sauce, and I am so glad I did. What gorgeous depth of flavour! There is now a set of jars full of tomato sauce in the freezer that is bound to perk up my winter pastas! I can’t wait to relive summer all over again. But I have to say, I could barely stop eating the Roasted Roma Tomatoes just as they were. They have so much flavour, that they were great to eat on their own. And I think they’d make a divine pasta just as they are, tossed with a bit of olive oil and fresh basil. Next year, I am definitely picking up twice the tomatoes so I can freeze a batch of roasted tomatoes, and a batch of them turned into sauce. Oh yeah. If you want to roast your own deliciousness, here is the recipe. And I warn you, whatever you make won’t be enough! 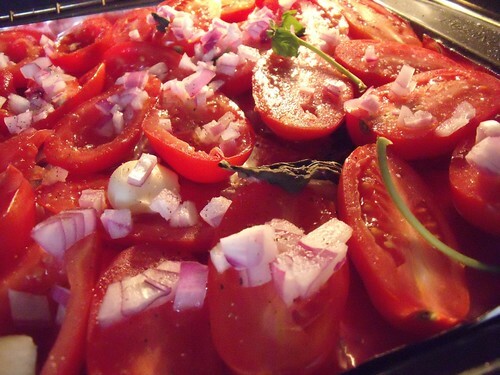 Place tomatoes on 2 baking sheets lined with aluminum foil, cut side up. Drizzle olive oil over top of the tomatoes, and sprinkle with onion, garlic, basil, and salt & pepper. Bake at 350F for 2 hours. Then turn up the oven to 400F and roast for another 30 minutes, until the tomatoes are slightly caramelized. 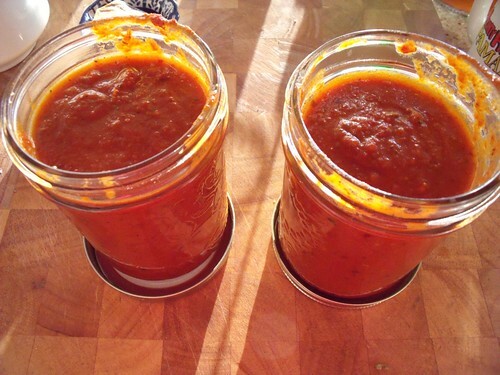 You can now freeze the tomatoes as they are, in mason jars or doubled-up freezer bags (to avoid freezer burn). You can also turn them into Roasted Garlicky Tomato Basil Sauce. Enjoy with pasta, oh yes. 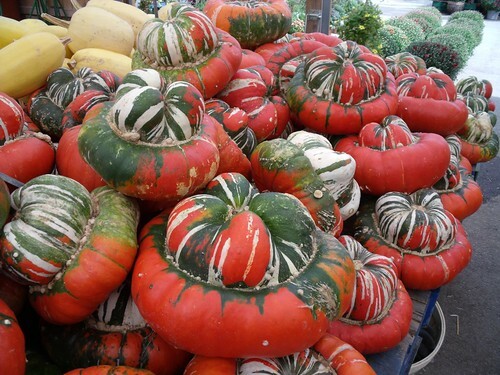 I have never seen so many pumkin variaties before andd I love those red ones, just beautiful!! This tasty garlicky tomato basil sauce looks amazing! Yum! 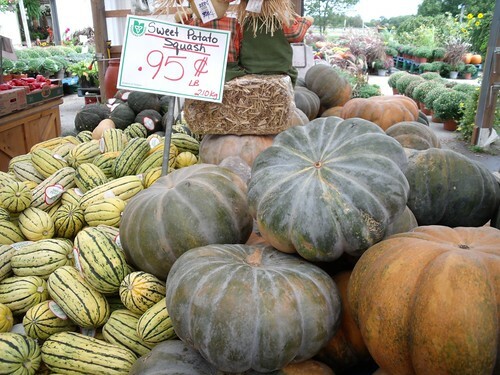 I just want to take one of each home, then roast them and have a squash-tasting party!! I love the pumpkin pics! Can we go to this farmer’s market again soon? Pria wants in.